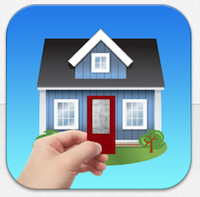 The DoorWays App by ThermaTru brings mobile shopping and visualization together into one tool that makes the selection and buying process quicker and easier for trade professionals and homeowners. The new marketing tool features the Therma-Tru portfolio of fiberglass doors in the most popular sizes, as well as decorative, privacy and specialty glass. It is available for I-devices as well as Android. Create and save multiple door and glass combinations. Share different door looks via e-mail, text and Facebook. Size and scale doors in camera view with the app's built-in visualizer. Create a photograph of the door you've selected super-imposed over the inside or outside of the home. Save photos of the doors on the home to a camera roll to find and share later. Access all product information needed for ordering through the saved doors feature. Use the dealer locator and contact information, which are all accessible within the app. By introducing the app, Therma-Tru is looking to leverage the way more and more consumers today are shopping via mobile devices. In the last 18 months (ending in December 2013), the percentage of visitors to www.thermatru.com using mobile devices more than doubled.